It's no secret that helping others can bring volunteers great joy, and the same goes for seniors. A study published in The Gerontologist revealed just how beneficial community involvement can be for seniors. Researchers surveyed over 200 adults ages 50 and older who devoted an average of six hours a week to community service. Even with the wide variety of volunteering activities across participants in the study, one result was the same – they reported a boost in self-esteem, a greater feeling of productivity, increased social activity and an overall sense of life improvement. Volunteering can help seniors make new friends. Additionally, staying social is an important part of fighting feelings of depression and isolation in older adults. Seniors get the chance to meet new friends of all ages when volunteering, and problem-solving together is a great way to build relationships. 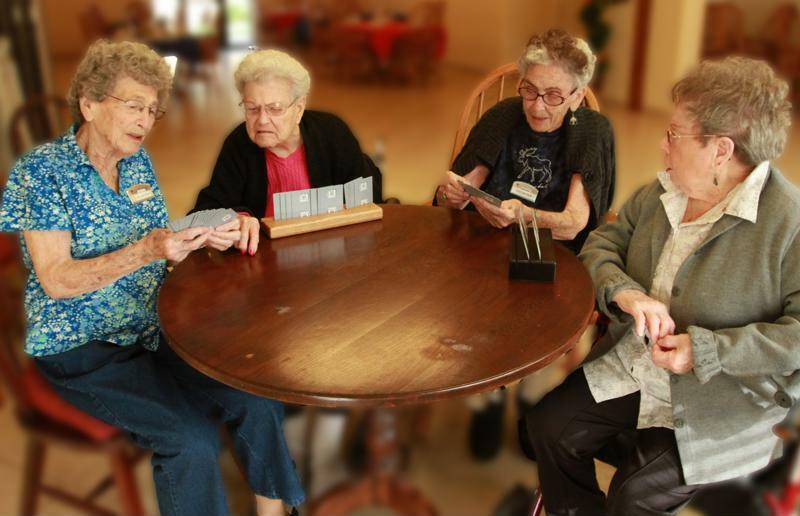 Encourage them to ask friends from their independent senior living community to join the fun. Many volunteer opportunities will present new activities and tasks for seniors to complete, which means they will have to dive in to their problem-solving skills. According to Psychology Today, being open to new experiences, physical activity, curiosity and creativity, and social connections are elements that enhance cognitive function. Between meeting different people, learning new things and engaging in unfamiliar experiences, seniors can easily tap into any of these brain-healthy habits with volunteering. Even something as simple as working in a soup kitchen can have these benefits. Every time a person in need approaches him or her for food, the volunteer may be able to strike up a conversation. Additionally, what happens when there's a lot of food but a little of each item? Senior may be able to brainstorm with other volunteers about how to combine ingredients and make a delicious dinner. "Volunteering can provide a way for seniors to stay active." Unless the community service involves sedentary activities such as computer work, volunteering can provide a healthy and safe way for seniors to stay active. Any bit of activity, even just slowly walking, is better than sitting or lying in bed all day. Encourage your senior loved ones to walk the dogs at your local animal shelter, reshelf books in the library, organize donations at homeless shelters or help with tasks at your church. According to the Centers for Disease Control and Prevention, loss of strength and stamina attributed to aging is partly caused by reduced exercise. All of these volunteering endeavors involve some level of physical activity. Volunteering helps more than those in need. It also provides a lot of benefits to seniors.